Don’t forget on this Saturday for CINGO and DPL.. We all are excited to be there and see who will be a new winner!!!! Nobody has won since May 2017!!! 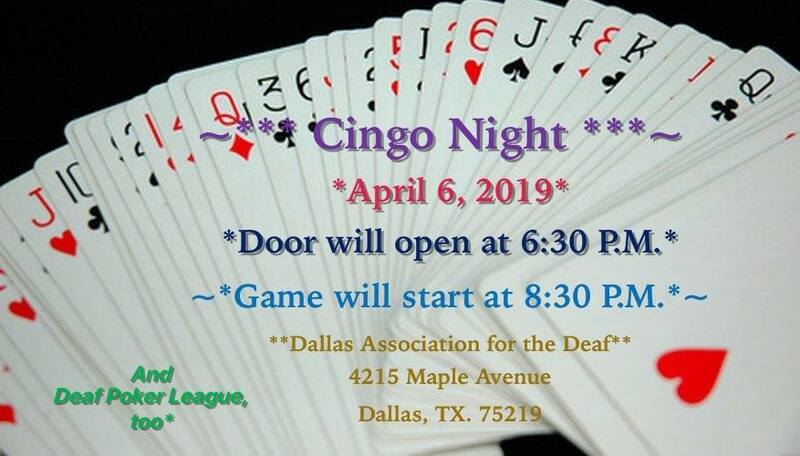 * Deaf League Poker, too! *Come and have fun with us!!! *No one have won since!! It has been almost a year!!! *Let’s see, who will be the winner!! !